(Jan. 26, 2015) — The University of Kentucky Department of Mathematics, within the College of Arts and Sciences, is proud to announce the appointment of Benjamin Braun to the Wimberly and Betty Royster Research Professorship, and Uwe Nagel to the Ralph E. and Norma L. Edwards Research Professorship. (Dec. 18, 2014) — Thirteen University of Kentucky students took home top honors at the Kentucky Academy of Science 100th Annual Meeting in November, where hundreds of undergraduate and graduate students from Kentucky colleges and universities participated in research competitions. Winners included graduate and undergraduates from the College of Agriculture, Food and Environment, College of Arts and Sciences, Gatton College of Business and Economics, College of Health Sciences and College of Public Health. Matthew Fahbach was recognized with an Oswald Creativity Award in Physical and Engineering Sciences for his paper "Historical permutation statistics and Andre's theorem". Matthew is pursuing a double major in mathematics and computer science. His paper began as a project in MA 330, History of Mathematics, taught by Ben Braun. (Dec. 17, 2014) — The University of Kentucky Office for Undergraduate Research has presented 17 students with the Oswald Research and Creativity Program awards. "There is so much high quality research being done by UK undergraduate students," said Diane Snow, director of the Office for Undergraduate Research. "We're very grateful for funding through the Oswald Awards to be able to recognize and reward these exceptional individuals!" (Nov. 20, 2014) — As University of Kentucky freshmen settle into life as college students, a new resource on campus has been helping them adjust to STEM (science, technology, engineering and mathematics) programs, known for difficult coursework. Undergraduate instructional assistants (UIAs) within one of the university's newest Living Learning Programs, STEMCats, use their past experiences to mentor incoming UK students. The College of Arts and Sciences recently produced a podcast about the STEMCats community, featuring many STEMCats UIAs explaining what they enjoy about the program and their connections with younger STEM students. Heide Gluesing-Luerssen along with Ashish Khisti (University of Toronto), Joachim Rosenthal (University of Zurich), and Emina Soljanin (Bell Labs Research) is organizing a week-long workshop titled Mathematical Coding Theory in Multimedia Streaming. The workshop will be held at the Banff International Research Station on 11-16 October 2015. 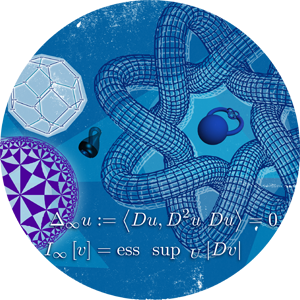 Peter Hislop and Peter Perry along with Richard Froese (University of British Columbia) and Rafe Mazzeo (Stanford University) are organizing a week-long workshop on Geometric Scattering Theory and Applications. The workshop will be held at the Banff International Research Station on 2-7 November 2014. Katherine Thompson who received her undergraduate degrees in Mathematics and Biology from the University of Kentucky in 2008, has returned to UK as an assistant professor in Statistics. Katherine received her Ph.D. from Ohio State University in 2013. Her research interests include statistical genetics and bioinformatics. Martha Yip joined the Department of Mathematics as an Assistant Professor in the fall of 2014. Visit http://math.as.uky.edu/podcasts/new-faculty-2014-meet-martha-yip to hear a short podcast that introduces her research. The Department of Mathematics is pleased to announce the availability of fellowships for graduate students through the Graduate Scholars in Mathematics program. Interested students should visit http://www.math.uky.edu/gsm to find out more about the program. (Oct. 7, 2014) — As the second lecture of the 2014-15 Chellgren Seminar Series, University of Kentucky professor of mathematics Carl Lee will deliver a talk titled "Stillness in Motion: The Essence of Symmetry" at 7 p.m. tonight in the William T. Young Library Auditorium. (July 8, 2014) — Each year University of Kentucky students are recognized on the national, and even international, stage with a variety of prestigious scholarships, internships and fellowships that acknowledge their excellence in the classroom, as well as in research and extracurricular activities. (June 24, 2014) — Three University of Kentucky graduate students have received the fellowship award from the Association of Emeriti Faculty. Each award includes a stipend of $2,000. Since 1996, the UK Association of Emeriti Faculty has awarded 53 fellowships to full-time graduate students who demonstrate a commitment to teaching at a university or college. Thanks to generous gifts from UK faculty retirees to the fellowship program and UKAEF’s Commonwealth of Kentucky Research Challenge Trust Fund, these gifts constitute a $77,000 donation of ongoing support of graduate students. 4Winners for the 2013-14 school year were Brad Fox, Ashley Bourgeois and Michelle Bolduc. (June 10, 2014) — University of Kentucky juniors Matthew Fahrbach, of Louisville, Ky., and Samuel Saarinen, of Shelbyville, Ky., have been awarded the Barry M. Goldwater Scholarship worth up to $7,500 per year. Fahrbach and Saarinen are among 283 students nationwide awarded the Goldwater Scholarship this year. This year's Goldwater Scholars were selected on the basis of academic merit from a field of 1,166 mathematics, science and engineering students who were nominated by the faculties of colleges and universities nationwide. (June 3, 2014) — The University of Kentucky has been awarded a $1.9 million grant to improve retention of students in the STEM disciplines: science, technology, engineering and mathematics, through a collection of initiatives dubbed "STEMCats." UK is one of 37 research institutions selected by the Howard Hughes Medical Institute (HHMI) to receive an award, from among 170 institutions competing for a share of $60 million in total funding. The five-year awards, ranging from $1.2 to $2.4 million, are intended to enable schools to focus on "significant and sustained improvement in retaining students" in the STEM disciplines.